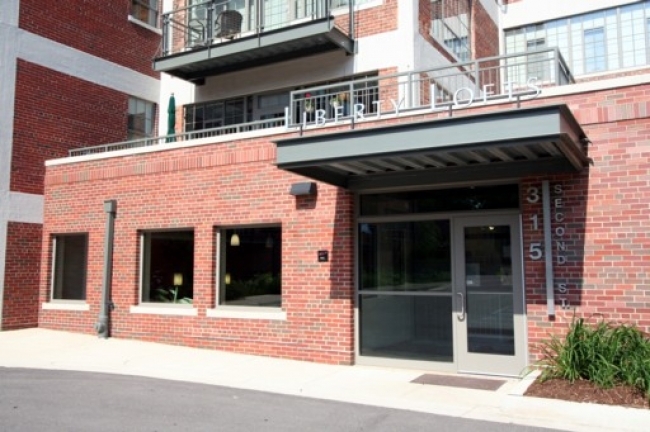 Liberty Lofts is a chic Ann Arbor complex located only minutes from the downtown, it is extremely modern and eye-catching, and comes with a plethora of layouts and features. There are currently 3 condos listed for sale and so far this year, 11 have sold. $440,000. 315 Second St. #406, Ann Arbor. 1010 square feet with 1 bedroom and 1.1 baths. $430,000. 315 Second St. #202, Ann Arbor. 1028 square feet with 1 bedroom and 1.1 baths. $663,000. 315 Second #317, Ann Arbor. 1492 square feet with 2 bedrooms and 2.0 baths. $632,000. 315 Second #314, Ann Arbor. 1469 square feet with 2 bedrooms and 2.0 baths. $565,500. 215 Second St. #211, Ann Arbor. 1242 square feet with 2 bedrooms and 2.0 baths. $508,000. 315 Second St. #511, Ann Arbor. 1314 square feet with 2 bedrooms and 2.0 baths. $504,000. 315 Second #216, Ann Arbor. 1039 square feet with 1 bedroom and 1.1 baths. $499,500. 315 Second St. #308, Ann Arbor. 1183 square feet with 1 bedroom and 1.1 baths. $459,900. 315 – 2nd St. #315, Ann Arbor. 1107 square feet with 1 bedroom and 1.1 baths. Last year at Liberty Lofts, 7 condos sold with an average sale price of $514,486 and an average price per square foot of $436.00. The 11 condos sold this year have an ASP of $504,237, down slightly, and an A$/SF of $436.00, which is the same as 2016. To learn more about condo values at Liberty Lofts, contact the real estate specialists with The Bouma Group at (734)761-3060 or email info@bouma.com. View more Ann Arbor condominiums here! Located in the heart of downtown Ann Arbor, Liberty Lofts is one of the more popular condo buildings. Inventory has declined from last year, which is being seen across the board. There are currently 2 units listed for sale, and so far this year 4 units have sold. $825,000. 315 Second St. #517, Ann Arbor. 1992 square feet with 2 bedrooms and 2 full baths. 833 square feet of living space with 1 bedroom and 1 full bath. Exposed duct work and hardwood floors throughout. Cozy fireplace in living room. Kitchen has granite counters and stainless appliances. For your personal showing of 315 Second St. #404, or to learn more about this loft style unit, contact the Ann Arbor Condo specialists today at 734-761-3060 or email info@bouma.com today! 1054 square feet of living space with 1 bedroom, a study, and 1.1 baths. Fantastic views of downtown Ann Arbor from almost every room! Hardwood floors, huge windows, granite counters, and in-unit laundry. Spiral staircase leads to the second floor study/family room. For more details and to request a private showing for 315 Second St. #507, contact us at The Bouma Group, Realtors at 734-761-3060 or email info@bouma.com. View recent market statistics for Liberty Lofts here! Located in the heart of downtown Ann Arbor just steps from Main Street, these converted Loft style units are a popular choice. There are currently 4 units listed for sale and so far this year, 4 units have sold. $399,900. 315 Second St. #202, Ann Arbor. 1028 square feet with 1 bedroom and 1.1 baths. $470,000. 315 Second St. #507, Ann Arbor. 1054 square feet with 1 bedroom and 1.1 baths. $350,000. 315 Second St. #205, Ann Arbor. 807 square feet with 1 bedroom and 1 bath. $425,000. 315 Second St. #315, Ann Arbor. 1107 square feet with 2 bedrooms and 2 baths. $510,000. 315 Second St. #312, Ann Arbor. 1343 square feet with 2 bedrooms and 2 baths. $580,000. 315 Second St. #317, Ann Arbor. 1649 square feet with 2 bedrooms and 2 baths. Since a low in 2010, condo values at Liberty Lofts have risen and are exceeding those of prior years. Last year the average sale price was $398,750 and the average price per square foot was $360.00. The 4 condos that have sold this year have an ASP of $466,250, up 17%, and A$SF of $387.00, up 7.5%. With an increasing demand, we should continue to see Downtown Ann Arbor Condo values rise. For more information about Liberty Lofts and units for sale, give us a call at The Bouma Group today at 734-761-3060 or email info@bouma.com. 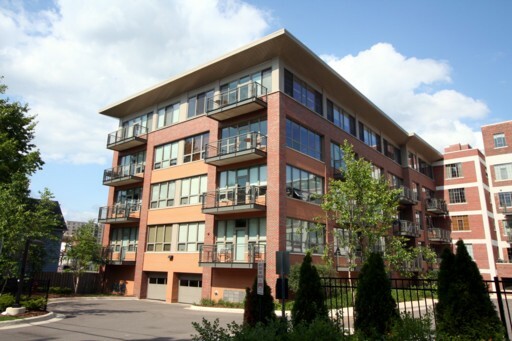 We’ve been Ann Arbor’s leading condo sellers for more than 15 years! 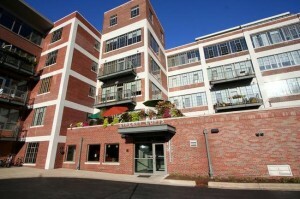 Liberty Lofts Condos in Downtown Ann Arbor are urban loft style units converted from a factory. The location is unbeatable, within walking distance of downtown and all of the excitement and entertainment it has to offer. There is currently 1 unit listed for rent and so far this year, 6 units have sold and 2 have been rented. $4450/month. Penthouse unit with 1992 sq. ft., 2 bedrooms and 2 baths.